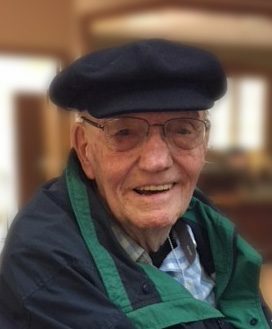 Vincent H. Pollock of Hartland passed away on Friday, July 13th, at age 88. Devoted husband of Marie for 66 years. Loving father of David (Jane) Pollock and Jenny (Ron) Rapoport. Proud grandfather of Rachel (Kevin) Volk, Rebecca (Ejiofor) Rapoport, David Rapoport, Kathleen Pollock, Kyle Pollock and great-grandfather of four. Dear friend of Kay Reisch. He was an amazing husband, father, grandfather, and friend. One of the original teachers at Arrowhead High School, Vince dearly loved his profession and students. He was a friend to all of Hazel Lane and helped make it a special place to grow up and raise a family. He was the most caring and gentlest soul you could ever meet and he inspired us all to be better people to each other. He always made sure that you had enough light to read by, plenty to eat, your drink was full, and that you were having a good time. Vince, we hope you get your fill of “tinis” in heaven. We will all miss you. 7 7 7. Please join us for a casual Celebration of Life at Rockwell’s at Shorehaven, 1340 West Wisconsin Avenue, Oconomowoc, WI, 53066, on Thursday, July 19, 2018, 2:00 PM-4:00 PM. What a blessing to grow up as neighbors of Vince and Marie. Jenny was like a sister to us. Much gratitude for Vince helping me type and take shorthand well, and all I learned in our SOP classes. He always encouraged me. His class helped me tremendously through life. My thoughts and prayers are with Marie and family. Wish I could be there tomorrow. 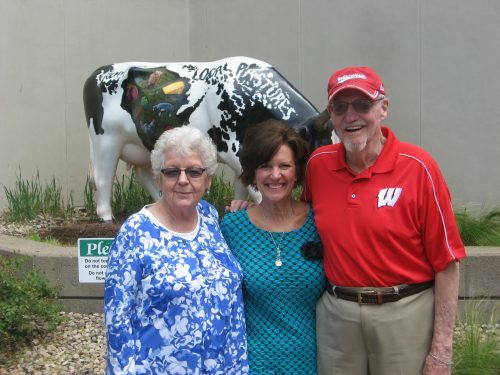 Five years ago Vince and Marie traveled to Madison to have lunch with us. We so enjoyed the day! After our meal, we drove Vince by his childhood home. Uncle Vince, your huge smile and laugh will be missed. Sharing Packers games with you and Dad are one of my favorite memories. I was so blessed for all your love as we were growing up next door.